I’m interrupting my usual blogging schedule with this spur-of-the-moment post. 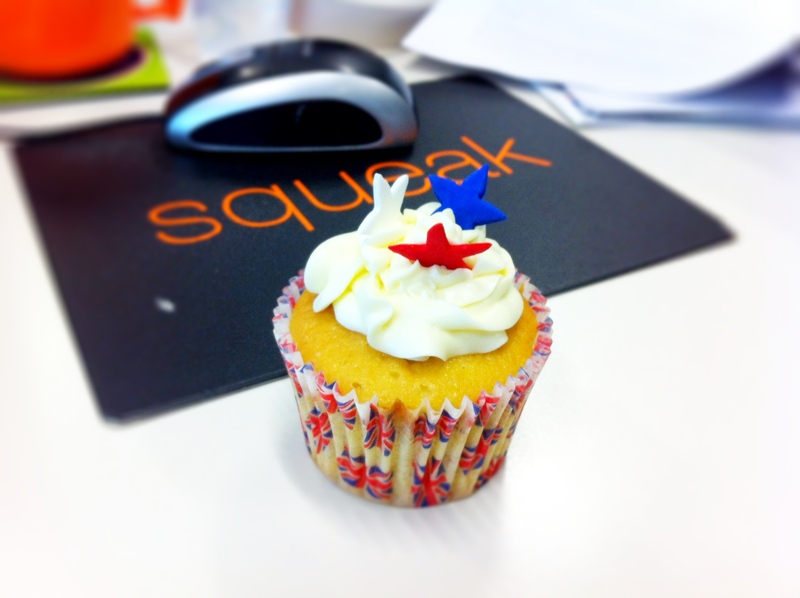 My colleague Jess arrived at work today with special (and early) Queen’s Jubilee cupcakes for us all – YUM-O! Yay! How proper. I shall be making jubilee iced buns tomorrow if all goes to plan! Great way to start celebrating! What a wonderful occasion…let the celebrations begin!